LeTek Plus combines the softness of leather with the durability and low maintenance of synthetic material. 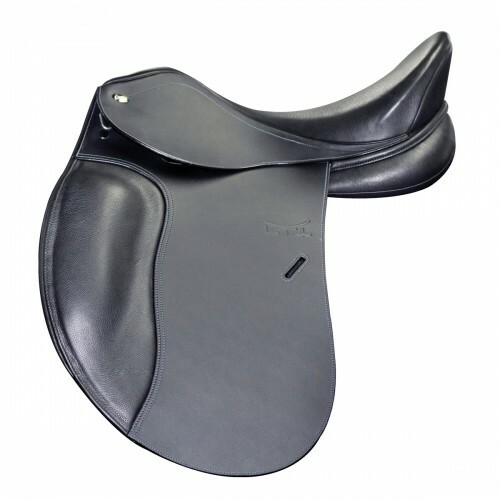 The saddle is a traditional leather product, with the exception of the sweat flaps and panels. These areas that touch the horse are made of Quik-Clean(TM) for ease of use. The latex/wool flocking eliminates lumps and bumps, and can still be reflocked in the traditional manner for a customized fit to your horse.